How can i run my entire uitest suite for only one platform from the IDE? but I have no way of running all the tests that appear in the pad but for a specific platform is Android or iOS. does anyone know how to achieve this? 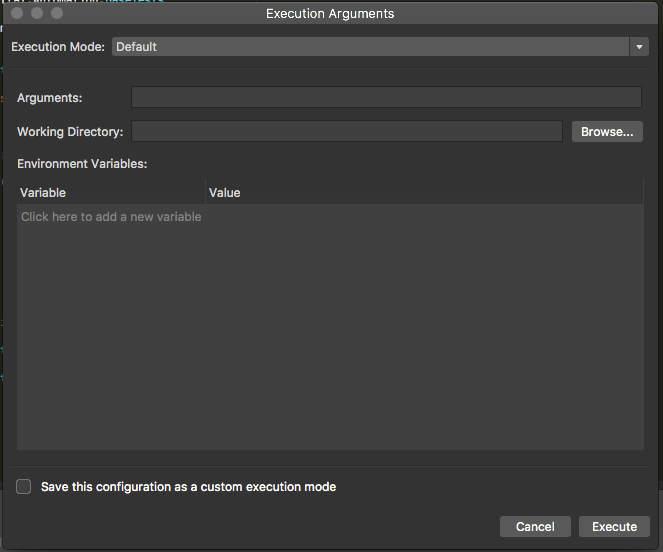 Easiest way is to comment out the [TestFixture] attribute at the beginning for the one that you don't want to run. First comment out one of the [TestFixture] attribute. Then Build the solution. 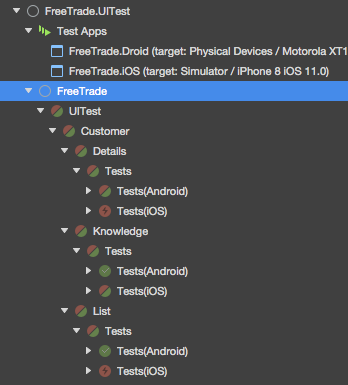 That will show the list of tests for one platform only. Now do "Run All". It will be better if you run all of them successfully. Then select all of the tests listed. Then right click on the selection and go to Add to Playlist -> New Playlist. Name the playlist with the solution name and the platform name. Now remove the comment on the [TestFixture]. 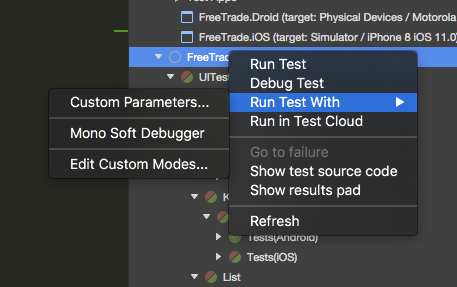 Now all those new platform tests will be listed under "Not Run Tests". Select all those 'Not Run Tests' and add them to another new playlist. But one thing I noticed is that these playlists little buggy. Many times I had to recreate these lists. Hi, thanks for your response but i dont have an option to add to playlist on VS for Mac. I also don't have separate tests for each platform, all my tests are cross platform test. 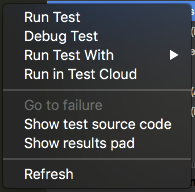 I have moved the app Initializer code to a separate class and all my test classes inherit from that in order to know that the test should run on both platforms without needing lots of boiler plate at the top of every test file. anyone else have any ideas on how i could achieve this?